ADDRESSING THE ELEPHANT IN THE ROOM! The contractor on the other end of the line had just received a visit from a local inspector. 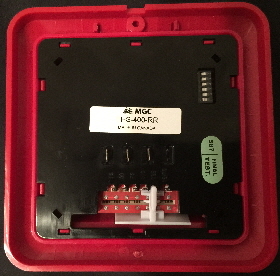 The fire alarm outdoor annunciator enclosure he was in the middle of installing wasn’t properly marked. No CSA. No NEMA (not that this part matters in Canada). No ULC. So I asked him whose equipment it was... Read more in December’s Tech-NEWS EXTRA! ASTTBC’s WEBINAR / INFORMATION SESSION! Surrey, British Columbia - High Noon. December 1st, 2016. The streets around the ASTTBC Saloon were strangely quiet. A few stray Volkswagens slowly threaded their way past the building (it’s a playground zone after all!). Inside, key staff members warmed their hands around the conference table while Bartender John Leech poured each one a solid helping of the local Holiday Chair. Ninety-eight online participants girded themselves to answer some hard questions that were going to help determine ASTTBC’s future direction, and to listen as staff provided updates on the various technician certification disciplines. No increase for 2017 is sure to be welcome news. Merry Christmas, everyone! Forty-five new dues paying trainee members (in Fire Protection) are also going to be boosting the roster in the New Year. RFPTs (and all the other 10,500 strong ASTTBC members) need to start logging CEU credits. Or else. Waste water is targeted to receive special attention in the form of proactive Practice Reviews. This is so much more important than life safety because what we flush has to be very carefully examined for content. After all, aren’t we all desperate to know about what we eat (or drink)? Jeff Martin is the new Chair of the Fire Protection Certification Board. UPDATE - December 26th, 2016 - It’s interesting to note that, while some of the meeting’s information has found its way to the ASTTBC website, the meeting itself hasn’t been mentioned. Surrey, British Columbia - If you haven’t already noticed, our Library now features four (4) important handbook guides. They’ve been three (3) years in the making and the month of December features a real Christmas deal (steal?) - 50% off the publisher’s price. Delivery starts January 15, 2017. The handbooks feature informative guidelines, illustrations, photographs, explanations, comprehensive interpretations of the relevant Codes and Standards, and other important information geared for YOUR local jurisdiction’s requirements. They all feature a one year (renewable) subscription service that will keep you updated on the latest developments, tips, and procedural changes. The sale ends December 31st, 2016. Surrey, British Columbia - We would never suggest that anyone contemplating starting a fire service or alarm company shouldn’t avail themselves of good legal advice. When it comes to certificate or contract wording, you now have some inexpensive (and customizable) options. We think you’ll stand to benefit from years of real-world experience in the fire prevention and alarm professions. The legal beagles call it “boilerplate wording”. We call it “un-commonly good sense”. Contact us for more information! ANNOUNCEMENT FROM THE GOVERNMENT OF ALBERTA! In support of the Government of Alberta response to the recommendations of the report Supporting and Inclusive Lives: Report of the Persons with Developmental Disabilities Safety Standards Consultation 2016 released to the public on October 26, 2016, a Ministerial Order, effective December 30, 2016, amends the Exemption Regulation under the Safety Codes Act to ensure that a residential standard is applied to the homes of adults with developmental disabilities. This means that safety codes inspections will not occur in these homes unless there is a request, an incident or complaint, as with any other home. For more information and detail, please refer to the December 20, 2016 joint letter issued by the Minister of Municipal Affairs and the Minister of Human Services. The Exemption Regulation will be posted on the Alberta Municipal Affairs website in the near future for easier reference. Surrey, British Columbia - The latest versions of our Verification Appendix “C” MS Word® forms now available to download from our FORMS page are just in time for Christmas! Both the “04” and “13” versions now include an enhanced header section where you only have to input the project-specific information (Verification date, building name, and address) once. Anything you enter here is automatically populated on the following pages, as well as any extra pages you might need to insert to document the testing of additional annunciators, power supplies, and/or transponders. Made a mistake with the address; or want to change the date? Fix it as required on the page you’ve noticed it on and don’t worry about the rest. The changes will be mirrored on all the other pages. The newest version of the City of Vancouver Appendix “C” form includes additional enhancements as well, designed to bring the form into alignment with CAN/ULC-S537-13 (the newest version of the Standard that’s likely going to be referenced in the next edition of the VBBL due out next year). 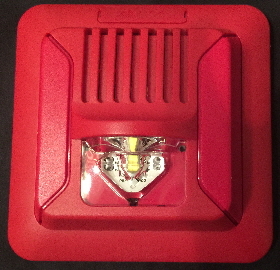 Our forms also address some key testing items that are going to have to be documented when the “14” edition of the Standard for Installation of Fire Alarm Systems (CAN/ULC-S524-14 - Including Amendment 1) is adopted in the By-law. Ensure your customers receive the professional service they deserve by providing the latest, most comprehensive inspection forms available on the web. And have a safe and happy holiday! MIRCOM LIGHTS UP THE SEASON WITH A SUPER-BRILLIANT NEW STROBE! Toronto, Ontario - We were privileged to receive a sample of the Mircom Group’s newest addition to their already impressive signalling line, in a meeting we attended in Maple Ridge last week. It’s the FHS-400 wall-mounted LED strobe. It sports an easy to configure selector for 15, 30, 75, 15/75, 110 and 185 Candela settings, which makes this appliance the only ULC Listed substitute for Rudolph the Red-Nosed Reindeer’s shiny nose (that we know of). Santa’s received several too and we understand that the North Pole’s all aglow, thanks to some very busy elves. the right provide the horn’s sounder options. It took about 5 minutes for our eyes to adjust back to normal from the intense blast of light it generated at the 185 Cd setting (and that was in a room with the lights on). Very impressive. The unit is available with either visual-only or combination horn/strobe outputs, and it comes in your choice of designer colours - red or white. The LED draws much lower current than the standard Xenon flash and it’s far more robust, physically (no glass tubes). Contact your local Mircom Distributor (or Branch Office) in the New Year for more information on availability and pricing! Victoria, British Columbia - In the wake of a horrific fire involving a condominium in Langley, B.C. earlier this month, the Honourable Rich Coleman announced he’s going to introduce a motion to increase oversight and regulation governing fire sprinkler installations in wooden apartment style buildings less than four storeys in height. No one was seriously hurt in the fire that apparently started on a balcony, but a large number of residents have been displaced from their homes as a result. You can read more about this at the Vancouver Sun’s website. Changes to the Building Code would have to be adopted. Most apartment balconies are not sprinklered adequately in older buildings, let alone newer ones, owing to the fact that their installation requirement in NFPA 13 is predicated on the size of the overhang (there are some additional requirements as well). It will be interesting to see how British Columbia is going to address this. It will require some consultation, not just with building officials and the contracting community, but also with owners and fire equipment service providers who are (ultimately) going to be responsible for their regular inspection and maintenance. NATIONAL FIRE CODE CHANGES WILL IMPACT ANNUAL INSPECTION SERVICES! CFAA and ASTTBC have, so far, not provided any information. The last time I spoke with anyone at the CFAA regarding the testing of other related equipment and systems their Certified Technicians are involved in, they advised their mandate and mission was focussed on fire ALARM systems. We’ve been working to incorporate this important Standard in our Technical Training Agenda. Commissioning (as it applies to newly constructed buildings) has some very important (and specific) testing criteria that many jurisdictions are suggesting should involve someone from the professional engineering community. For existing structures, the fire protection equipment service industry will have to identify a testing plan that incorporates the key elements of the Standard but which could be delivered by trained Building Life Safety System Specialists. CFAA’S EXECUTIVE DIRECTOR, STEVE CLEMENS, RESIGNS! Toronto, Ontario - It came as quite a shock for us to hear that CFAA’s Executive Director has resigned! Steve has been offered the position of Fire Chief in his home town (a little place just outside of Toronto). He tells us that his new office is only fifteen minutes from his house and that, while the new role won’t include a whole lot of exotic cross-Canada travel, he does get to drive around in a fully equipped emergency command car (with all the lights and whistles). He’s offered to assume a position on the National Board and intends to continue to positively contribute to the CFAA as an AHJ. We extend our best wishes to you in your new position, Steve! BARRIE’S FIRE DEPARTMENT REALLY GETS INTO THE HOLIDAY SPIRIT (AND WORKING SMOKE ALARMS ARE A BIG PART)! HELP WANTED - CFAA EXECUTIVE DIRECTOR! Toronto, Ontario - The search for a new Executive Director for the Canadian Fire Alarm Association (CFAA) will start in January of the New Year! 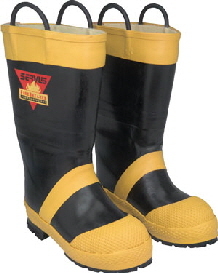 Steve Clemens left a huge pair of boots to fill (and we mean HUGE!). His dedication, drive and passion to advance the Association’s goals and mission will be sorely missed. Watch this space for more information!